Desert rose clusters are gypsum crystalline structures also known as sand rose, gypsum rose, rose rock, or selenite rose. 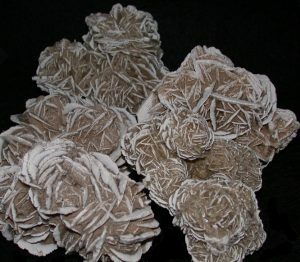 Selenite desert roses are employed in the wiccan chakra tradition for a variety of metaphysical uses. Or, if you prefer, just put them on display and they’ll really look cool! 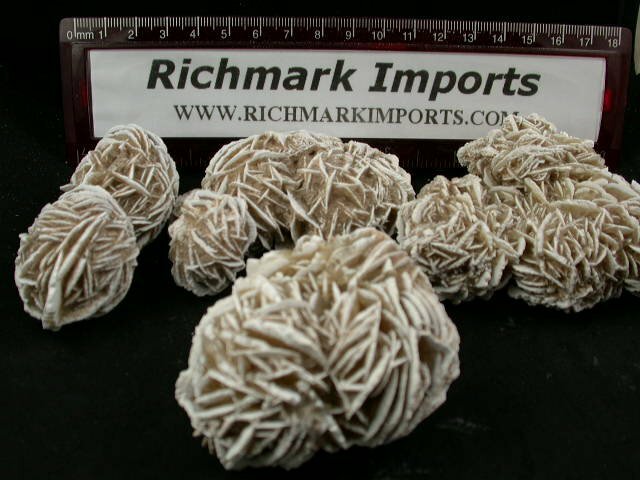 These selenite (desert rose) clusters average about 3” in length. There are usually about 3 per pound.